Being a celebrity means that there are so many people who are always following all your actions and sometimes analyzing every move. Pakistani showbiz has become very modern nowadays. Because of the social networking sites and the advent of private channels, blogs and online websites the private lives of celebrities are just as easily accessible to people as their public lives. In this race to stay modern and hip there are some celebrities who still stay decent whether they are attending functions or are part of shows. These celebrities are also decent because they do not exceed a certain limit of decency when they are invited as guests on shows. We all want to see our celebrities maintaining a good public image and not overdo modern dressing. 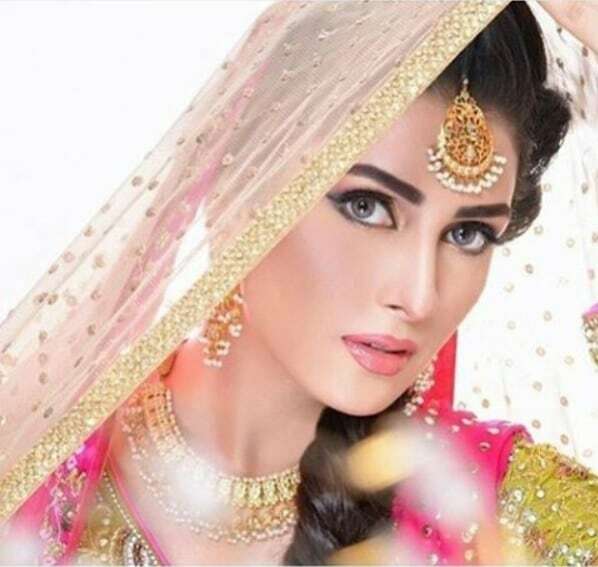 Ayeza Khan has a massive fan following and when a celebrity is so famous there are times when they get bold offers as well by people in which you are expected to do scenes in dramas that may be bold or wear dresses in photo shoots or fashion shows that are daring. There is no such example in which Ayeza Khan let go of her decency so that she could look more modern. She is always seen dressed up decently and acts decently in talk shows too.